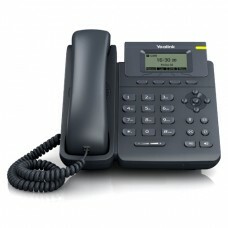 The SIP-T19P E2 is one of Yealink’s latest answers for the entry-level IP phone that offers features and performance normally associated with much more advanced phones. The quite intentional choice of high-quality materials, combined with a generously large 132 x 64-pixel graphical LCD that gives a clear 5-line display, guarantees both a smoother user experience and easy access to much more visual information at a glance. Dual 10/100 Mbps network ports with integrated PoE are ideal for extended network use. The SIP-T19P E2 supports a single VoIP account, simple, flexible and secure installation options,plus IPv6 and SRTP/ HTTPS/ TLS, VLAN and QoS. It includes headset use, is wall-mountable and has been designed very specifically for better business.